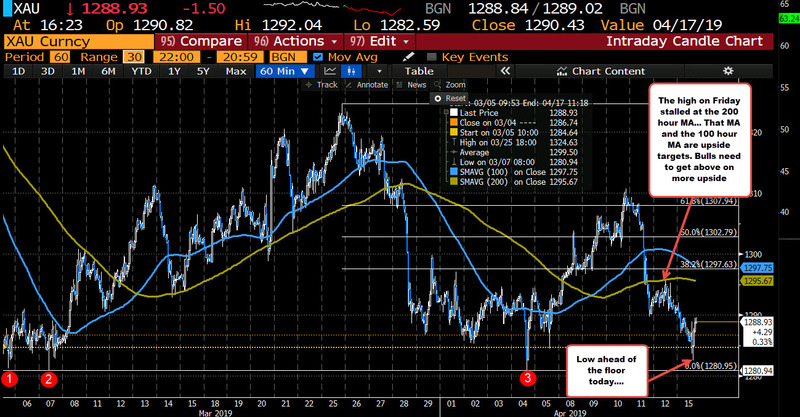 The price of gold fell sharply last week and in the process brought the price down back toward a retest of it's 100 day MA. That MA stalled the fall, but in trading action today, the price has moved above and below the MA at the $1288.59 level. The low today reached $1282.59. The high has reached up to $1292.04. We currently trade at $1289.34. 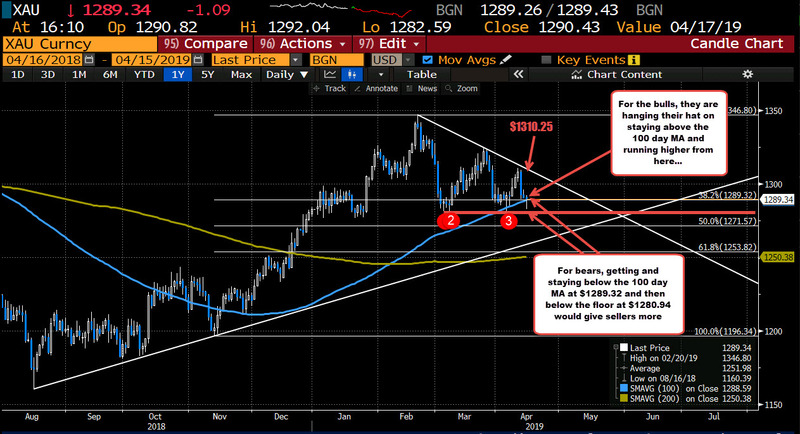 The bias for gold is dependent on where the price moves from here. Do we stay above the 100 day MA and push higher again or does the price move back below the MA? Another key level on the downside is at the $1280.94 level. There were lows in March, and the April 4 low was also at that level. So moving below that level will also be more bearish. PS the low today reached a few bucks above that level).